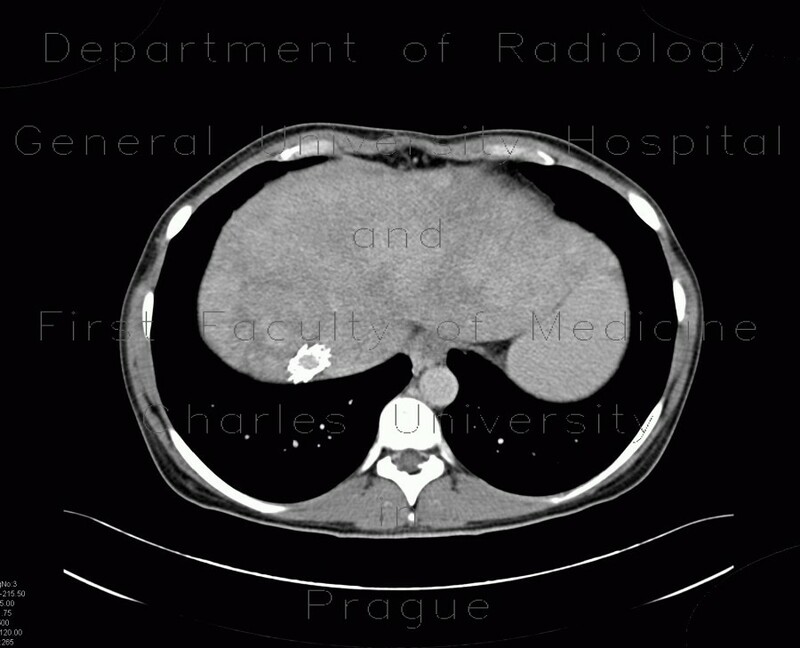 CT shows markedly enlarged spleen, widened splenic vein. The liver has heterogeneous structure in the convexity due to regenerative changes. Mild enlargement of caudate lobe. Hepatic veins are thin and hypodense (non-enhancing). A TIPSS stent-shunt was placed in the liver between the right portal vein and the confluence of hepatic veins to reduce portal hypertension.